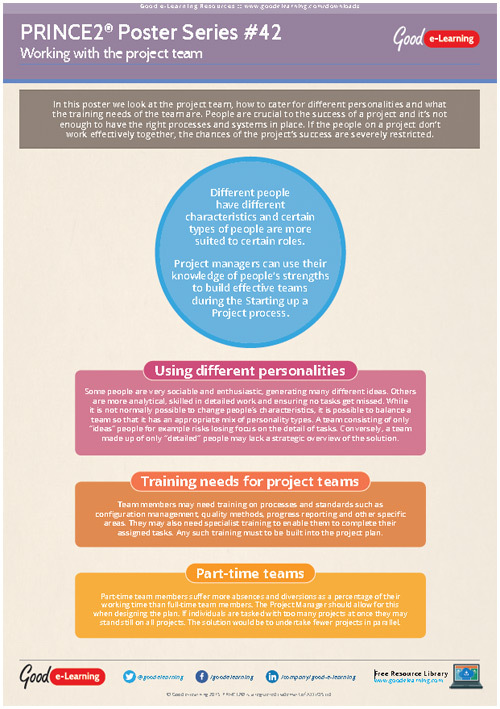 In this PRINCE2 poster we look at the project team, how to cater for different personalities and what the training needs of the team are. People are crucial to the success of a project and it’s not enough to have the right processes and systems in place. If the people on a project don’t work effectively together, the chances of the project’s success are severely restricted. Download this free PRINCE2 learning resource and you’ll also get instant access to 550+ Business & IT learning resources!